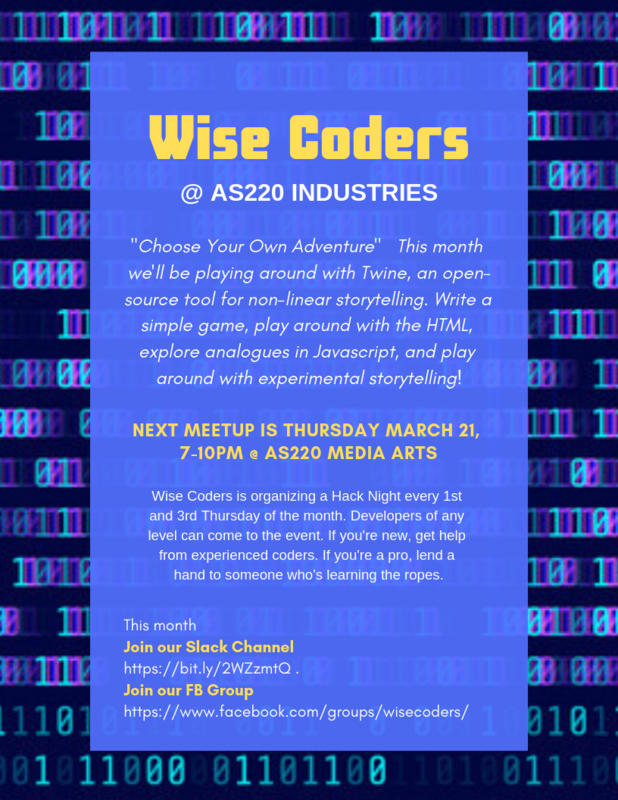 ABOUT WISE CODERS:   Wise Coders is a FREE hack night + project night on Thursday March 21 from 7-10 pm. Developers of any level are welcome, no experience required! If you’e new, get help from experienced coders. If you’re a pro, lend a hand to someone who’s learning the ropes. Join the Wise Coders slack channel or check out the FB group.